Heating and cooling systems are generally reliable and trouble-free, but every New York home needs coverage in the event of a heat outage. If your heat goes out during a cold snap, the situation can quickly turn dangerous. Your pipes could freeze, causing serious damage to your home, and your family’s health and safety could be in jeopardy. OSI Comfort Specialists protects all our customers with an assurance of emergency service at any time of day or night. If your heat fails, you need to make only one phone call, and we’ll provide the help you need. If it is a simple problem, we might be able to help you resolve it yourself. If it is serious and an on-site repair is needed, you can count on us to respond without delay. We have a large service team, and there are technicians on call in the area 24 hours a day, 365 days a year. Even if it’s the middle of a snowstorm on a holiday night, you can count on OSI Comfort Services to restore your heat promptly. 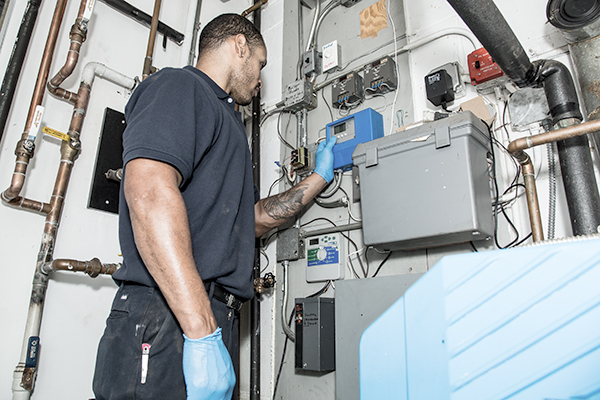 Our technicians are well versed in all makes and models for heating equipment. Don’t take chances with your loved ones and your home! Choose OSI Comfort Specialists and enjoy the peace of mind of knowing Long Island’s best service team is just a phone call away. All of Queens and Nassau County, and sections of Brooklyn and Suffolk County.